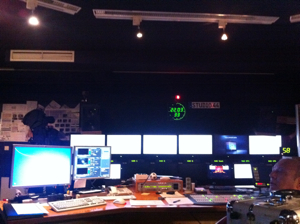 In April 2011, the Fujitsu Symposium 2011 was held at the Studio 44 in the beautiful Austrian capital Vienna. 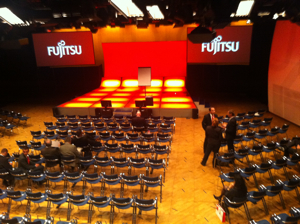 Under the motto “The Art of Computing“, Fujitsu presented the latest trends and developements in IT. Using a new and innovative multimedia format to introduce the presentations, developed by Head of Event, I had the privilege of being the main moderator for this event. A combination of live video and animation overlays, used to move virtual elements on the stage, created the illusion of a holographic presentation. The concept was introduced for the first time during last year’s Fujitsu “Future Forum” Roadshow, which can also be seen in part in my showreel.